Whenever the hubs has to travel to another country for work, I tag along as it's a great way for us to see a new place together. Last week, he had to go to Ireland so, of course, I went as well. We had visited Dublin for the first time three years ago. Since then, it has been one of my favorite places, ever. Last time, we went in June. And if you've ever been to Dublin in June then you know that the sun doesn't set until around 11 p.m. It was fantastic. 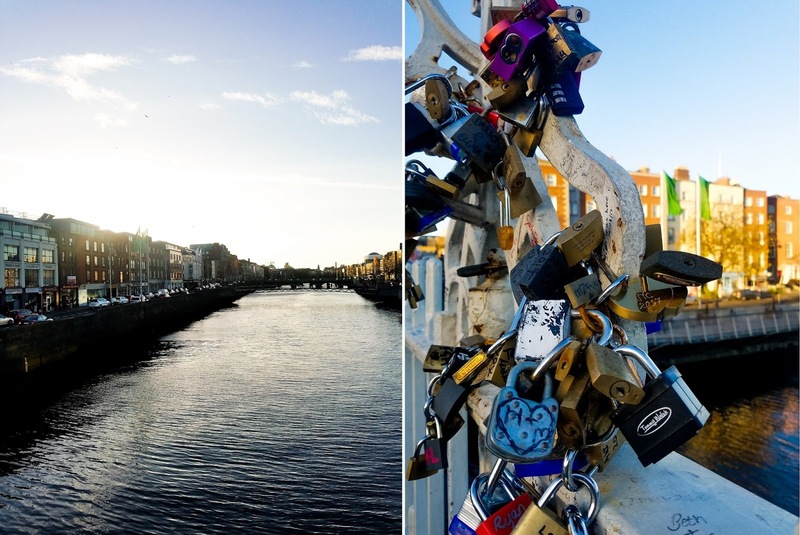 If you want to read about what I did in Dublin in 2013, then check out the link below. 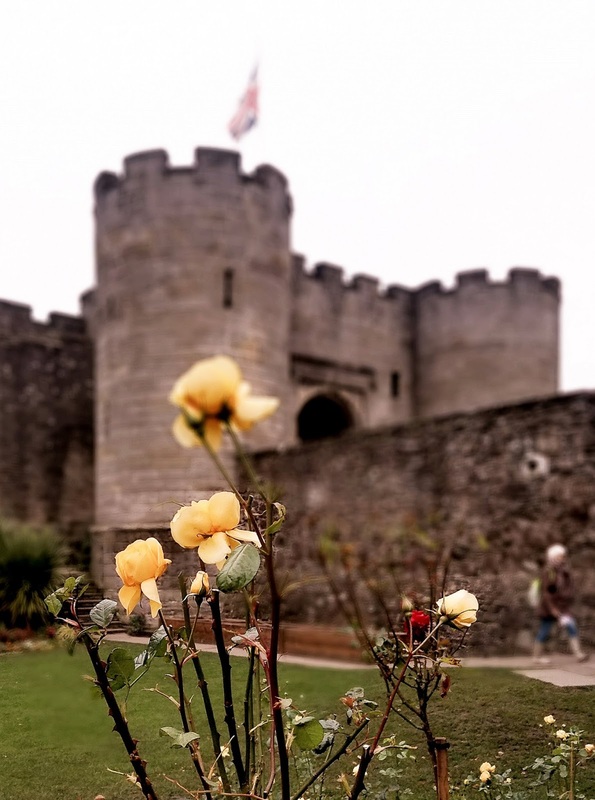 Since we had been to Ireland before, we wanted to visit a new place during our trip to Europe. So we headed over to the UK and went to Scotland. It was our first time there, but we only had a few days to spend in the country, so we did a day in Glasgow and two days in Edinburgh. In case you're wondering, Glasgow is pronounced "glaz-go" and Edinburgh is pronounced "edin-boruh"
On the first day, we went to Glasgow, which is more of a laid-back bar town. It was nice to just spend the day walking around exploring the city, checking out museums and, of course, eating and drinking at the local pubs. 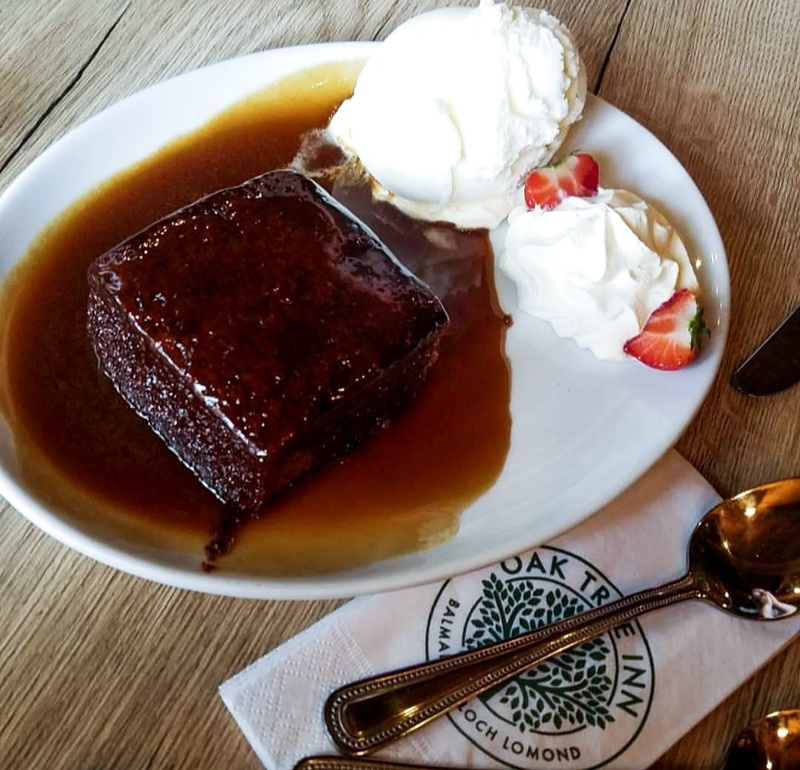 I basically became best friends with sticky toffee pudding -- my new favorite dessert. We took a tour to Falkirk, which is where the sculpture of the Kelpies lives. Falkirk is fairly equidistant between Glasgow and Edinburgh. Other people on the tour didn't seem as interested in them, but I thought they were brilliant. I mean, they're like 100 feet tall! And depending on where you're standing, you can see them differently. Plus, it's crazy when a giant horse head stares at you. 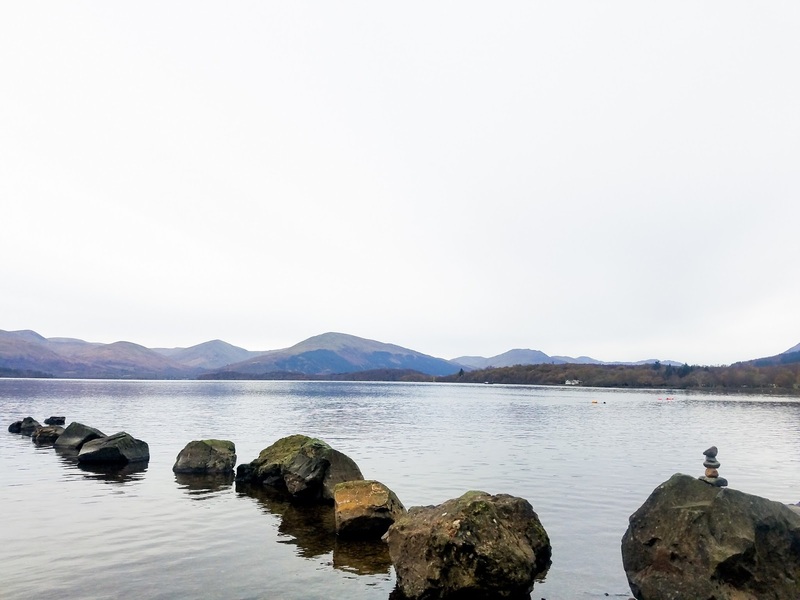 The next stop on the tour was Loch Lomond. This is a large freshwater lake and comes from the Gaelic term Lac Leaman or Lake of the Elms. It's basically just a large lake in Scotland. Many people tend to visit Loch Ness because of the infamous loch ness monster. But I've heard that Loch Lomond is actually much nicer. 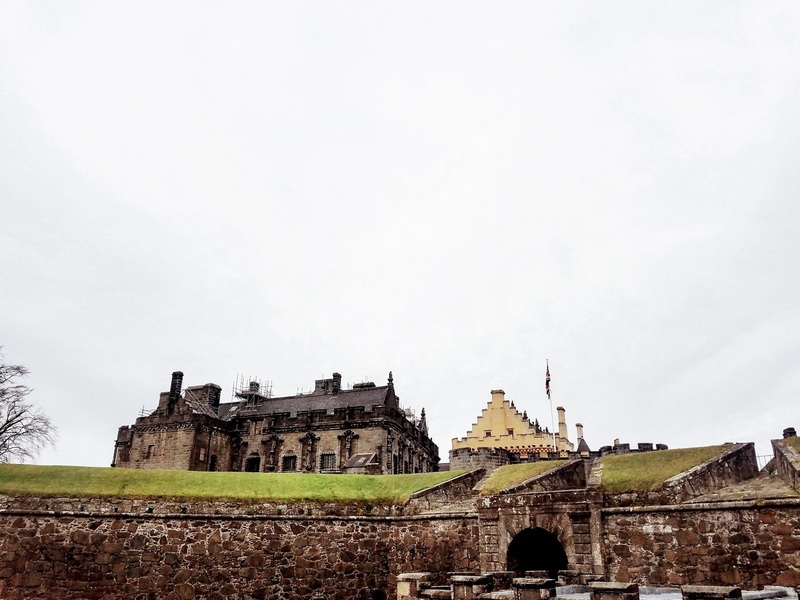 The last leg of the tour took us to Stirling Castle. 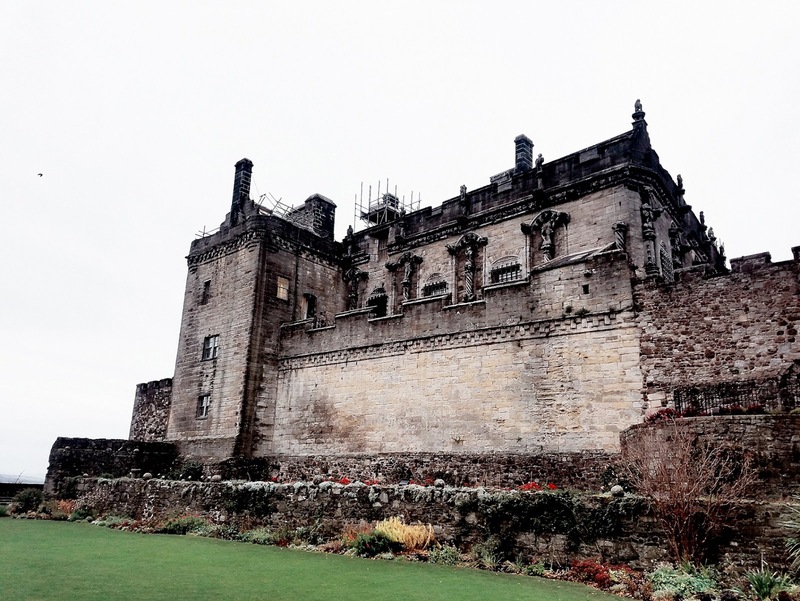 The city of Stirling is quite popular as it's the home of many historic battles. The well known William Wallace -- whom you might remember from Braveheart -- also has the Wallace Monument in this city. Bonus: One of my blogger babes saw that I visited a scotch distillery on my Instastories. She then told me to check out Camera Obscura, which is located right across the street from the distillery. So I went there and had the most fun! 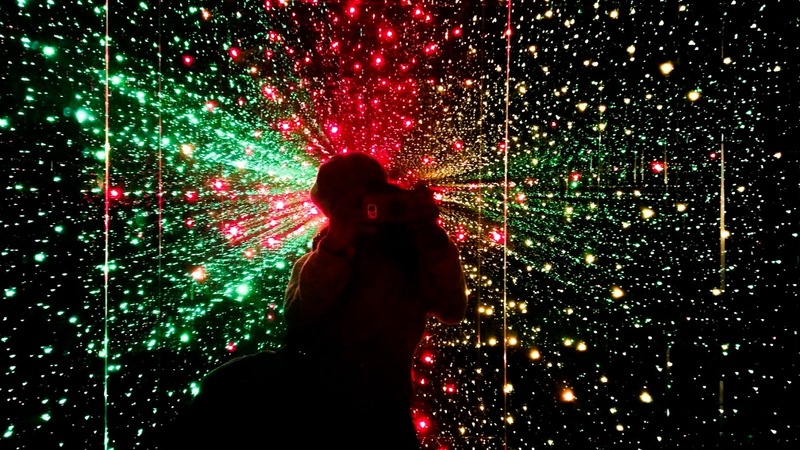 It's like a six story building of optical illusions with the coolest images and hands-on science. Maybe you saw photos and videos on my story? Here's a look at the pretty lights room. Such a fun trip and such beautiful sights. good thing you got this tip, the last place looks awesome. God, you're going to hate me but the early modern British historian in me can't help it: Mary Queen of Scots died under an executioner's axe at Fotheringhay Castle in England in February of 1587 after Elizabeth I (her cousin) signed her death warrant following almost 20 years of captivity in England after she fled there following her abdication of the Scottish crown to her son. Ugh, I'm such a jerk! Also, I'm so jealous of your trip - Scotland is my go to vacation destination and I miss it! Omg, I love this recap! I definitely want to plan a trip there and thanks for the pronunciation. So helpful!! Totally pinning this guide! Awww Cheryl! Your photos are stellar! It broke my heart to turn down an invite to the Laphroaig Distillery in Scotland (just couldn't swing it). I hear nothing but good things about the Northern UK. I've also heard nothing but good things about Camera Obscura! Definitely adding that to my list of must-sees! Again - fantastic job on the photography! Stunning pictures and the food looks just as good! Def a bucket list trip. I have heard so many great things about this city, I must visit! Love your photos. I think the Edinburgh festival would be really cool. Great shots Cheryl, honestly speaking it's not a country in my list of places I want to visit... but I have to admit it looks amazing. The dessert!! droolworthy.. 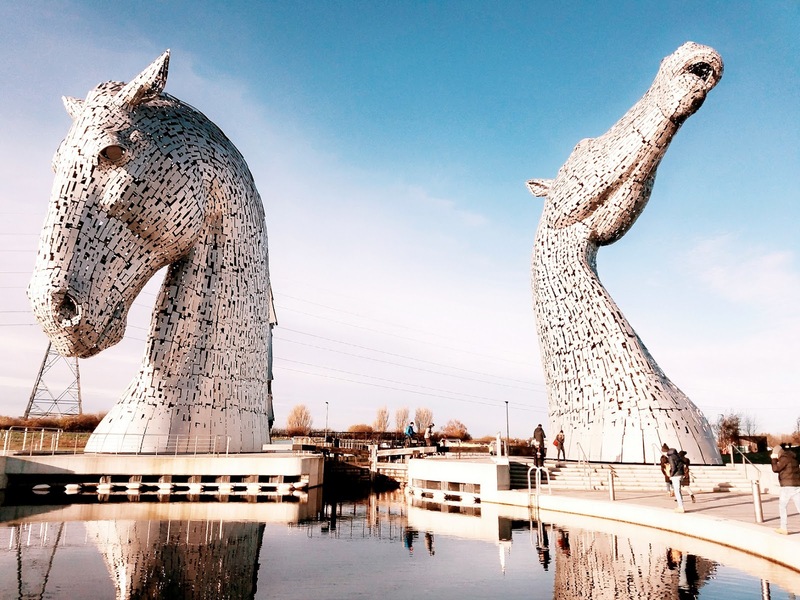 The Kelpies sculpture is fascinating, I would be looking up too.. and Scotland is on our must-visit list..
Wow, I love the Kelpies they look so awesome. I would love to visit Scotland someday because it looks amazing. Love seeing all your pictures!! Now, you've made me add more places on my travel wishlist! You got some breathtaking photos right here dear, nicely done!